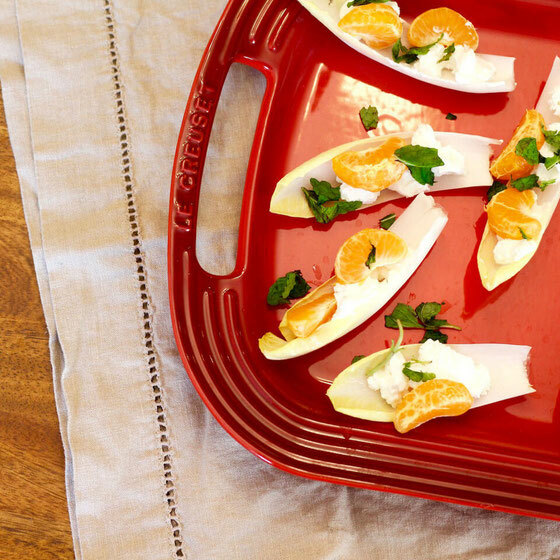 Get your next party started with these ready-in-minutes endive boats. 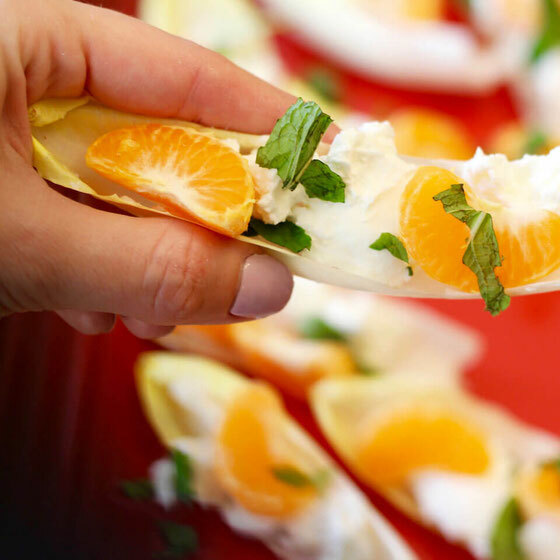 This mandarin orange recipe also works great as an afternoon snack. Today marks the one-year anniversary of Amy Gorin Nutrition LLC! So I figured what better way to celebrate than with a blog party of my own. It's so hard to believe that one year today I incorporated my business. This was about four months after I became a registered dietitian nutritionist in late 2015, just after I passed the RD exam (see how to pass the RD exam). I've had such a wonderful year meeting new colleagues, growing a private practice, starting a media coaching business, writing articles for magazines and websites, sharing my expertise with consumer publications, creating yummy recipes, and working with brands I love. To celebrate, I decided to create this deliciously healthy appetizer. 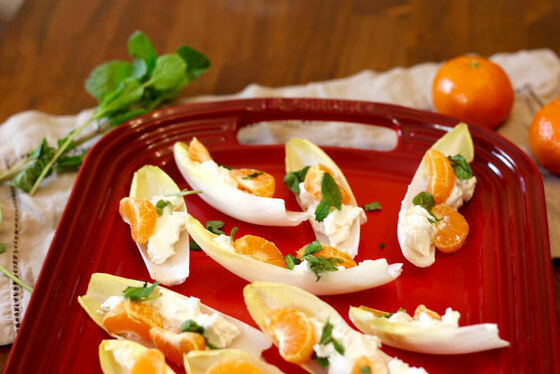 I put together a few of my favorite ingredients: Belgian endive, mandarin oranges, goat cheese, and mint. So yeah, this recipe is just four ingredients! I love the way that the fresh mint accents the goat cheese, as well as how the mandarin oranges provide a juicy sweet tang. And there you have it! Serve this recipe at your next gathering, or impress your significant other by offering this beautiful appetizer before dinner. Or if you're like me, have these as an afternoon snack. The best part? Each endive boat is just 40 calories. You'll love this endive recipe! Separate endive leaves. Fill each leaf with goat cheese. Top with orange wedges and mint. Serves 12. What are your thoughts on this topic? What are your favorite party appetizers? And don't forget to sign up for my newsletter to get weekly updates delivered straight to your inbox.